Trachoma: It is a bacterial infection that affects both eyes. It causes roughening of the inner surface of the eyelids. Trachoma is caused by Chlamydia Trachomatis bacteria. The symptoms may include itching, irritation to eyes and eyelids, discharge from eyes. It is a disease that can be treated easily but if not treated in time can cause blindness. Retinopathy of prematurity (ROP): Also known as Retrolental Fibroplasia is a disease of eye affecting pre-maturely born babies. 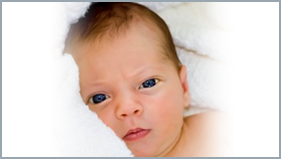 When a baby is born very prematurely, the retina and its blood vessels are not fully developed. Scarring in the retina usually in both the eyes follows this damage and can cause blindness. Night Blindness: Night blindness is the difficulty for the eyes to adjust in dim light caused due to deficiency of Vitamin A. People with night blindness have poor vision in the darkness but see normally when adequate light is present. Childhood blindness due to Vitamin Deficiency: : Vitamin A Deficiency is the leading cause of preventable childhood blindness. Approximately 2.5 lakhs to 5 lakhs malnourished children in the developing world go blind every year due to Vitamin A deficiency. A well-balanced diet and rich in Vitamin A helps to overcome this issue. Amblyopia: It’s also known as “Lazy Eye”. A condition in which the vision is reduced in an eye due to the misalignment of the eyes (Strabismus). If recognized early, responds to treatment very well but if recognized late, it’s difficult to treat and children may have permanent vision loss. Astigmatism: Astigmatism is a condition in which the objects at both, distance and near, appear blurred. Astigmatism often occurs with myopia or hyperopia. 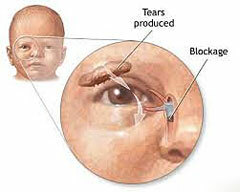 Childhood Tearing: Epiphora is the term for excessive tearing. It is often noted soon after birth but can be acquired later. When noted during infancy, it is usually due to the blockage of the drainage system. Cortical Visual Impairment: It is a vision loss due to any abnormality in the visual center of the brain. The eyes are normal, but the visual impairment center in the brain does not function properly and prevents normal vision. Glaucoma: It is a disease resulting in damage to the optic nerve. Elevated pressure is the most common risk factor. 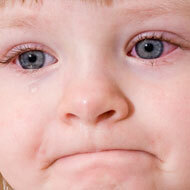 Symptoms of childhood glaucoma include-enlarged eyes, cloudiness of the cornea, sensitive to light, excessive tearing. 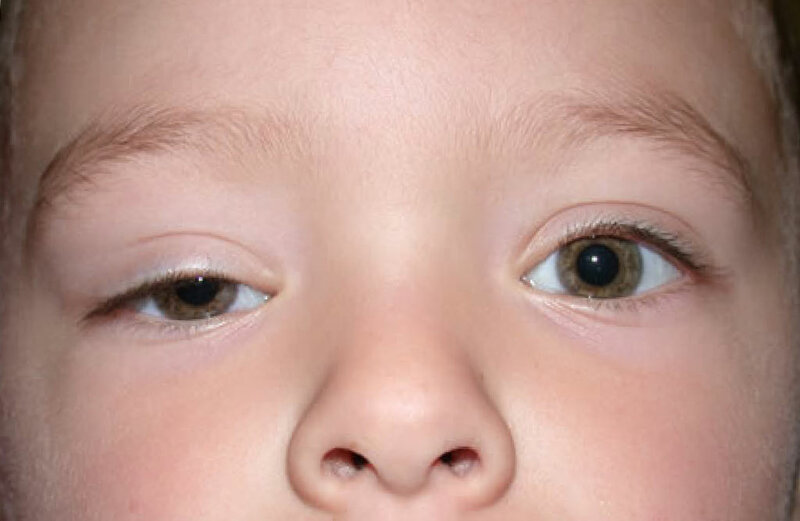 Children Ptosis: (Drooping Eyelids): Ptosis or drooping of eyelids in children is caused by weakness of muscles that elevate the eyelid. A droopy eye can block light passing to the retina in the back of the eye and/or create significant astigmatism that produces a blurry image in the eye. These situations can cause lazy eye, which left untreated can further cause loss of vision. Nystagmus: Nystagmus is an involuntary, rhythmic oscillation of the eyes. The eye movements can be side to side, up and down, or rotary. It may be present at birth or acquired later in life. 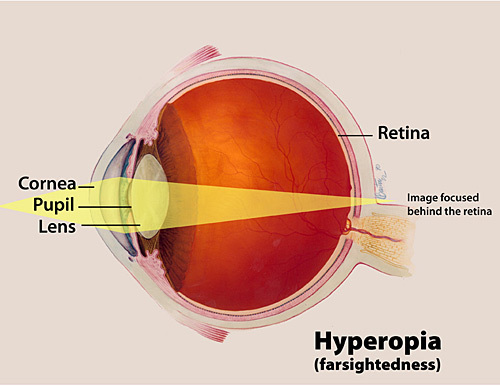 Hyperopia (Farsightedness): It is a condition where a person can see distant objects more clearly than the near objects. 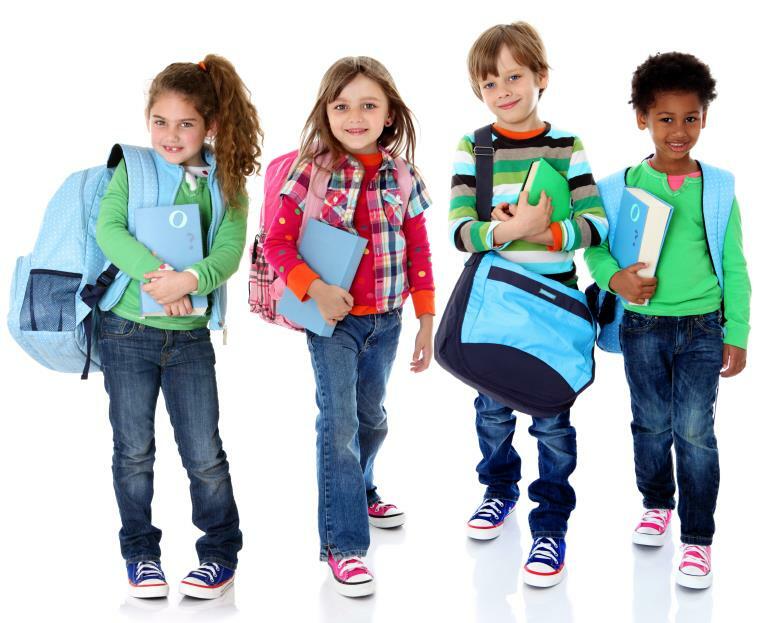 Infants and young children are typically somewhat farsighted, but it lessens as the eye grows. Some children can have higher amounts of hyperopia which can cause a constant blurry image in one or both eyes and prevent normal visual development. 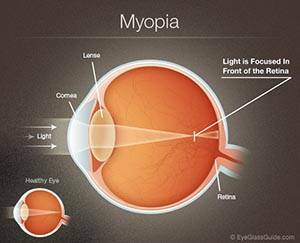 Myopia (Near sightedness): It is a condition where a person can see near objects more clearly than distant objects. 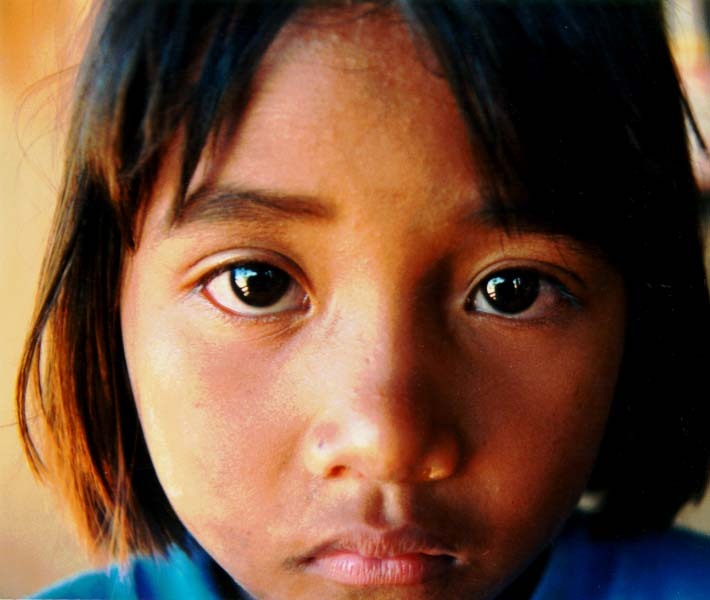 Excessive myopia in children can result in the Lazy eye (Amblyopia). Holding objects very close and squinting may indicate significant myopia. Chalazion: It looks like a small lump on the eyelid. It may occur when a meibomian gland (an oil-secreting gland in the eyelid) becomes clogged. A Chalazion can start out as a poppy seed and grow to the size of a pea. It can occur upper or lower eyelid in one or both the eyes. It often happens more than once. 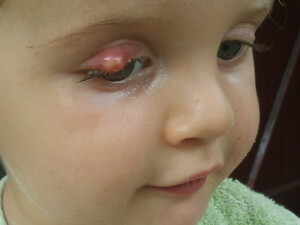 Stye: A Stye is an infection of the eyelash follicle, usually caused by bacteria Staphylococcus aureus. A Stye looks like a red, sore lump near the edge of the eyelid. 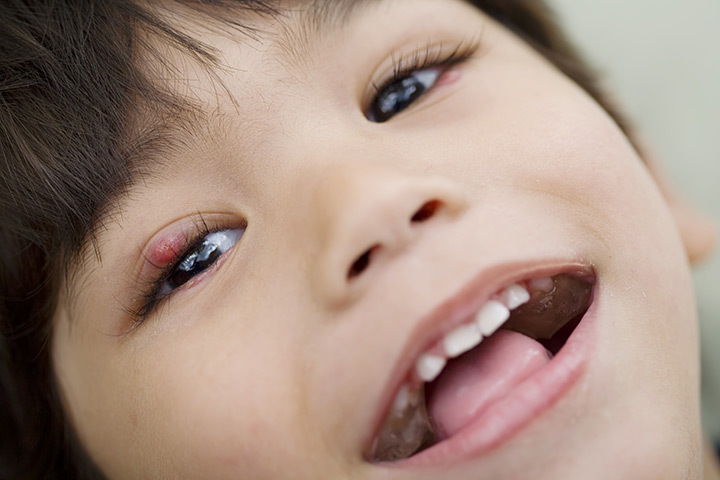 It can cause swelling of the surrounding eyelid and can be quite painful. Dr. Prachi Agashe is a paediatric ophthalmologist and paediatric eye surgeon at Advanced Eye Hospital and Institute. She has a lot of experience and expertise in dealing with children's eye problems.